My wife Bev and I just returned from a trip to Charlottesville, Virginia where I was a speaker at the 2018 Virginia Festival of the Book. As Bev will attest, it’s often difficult (maddening is the term she’d probably use) to get me out the door and away from my desk and kitchen. For better or for worse, as I’ve mentioned before, I’m something of a homebody. Yet when I do wrest myself away – usually for some work-related reason such as this – I quite enjoy myself. I’m reminded that most people are interesting and friendly; other towns are fun to experience; and it’s nice to eat someone else’s cooking from time to time. 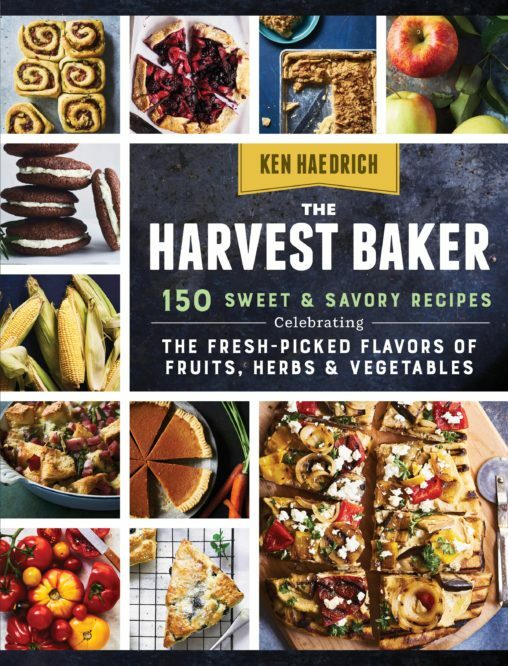 So I was honored and, ultimately, delighted to receive an invitation to the festival, where I was part of an author panel and gave a baking demonstration, at The Charlottesville Cooking School, featuring the scrumptious Swiss Cheese Galette here. I talk about all of this, and introduce the galette, in the new video below. It’s a just quick one, so I hope you’ll take a moment to check it out. A selection of fresh sliced fruit or dried fruit for dessert would be perfect. Good luck, and enjoy! 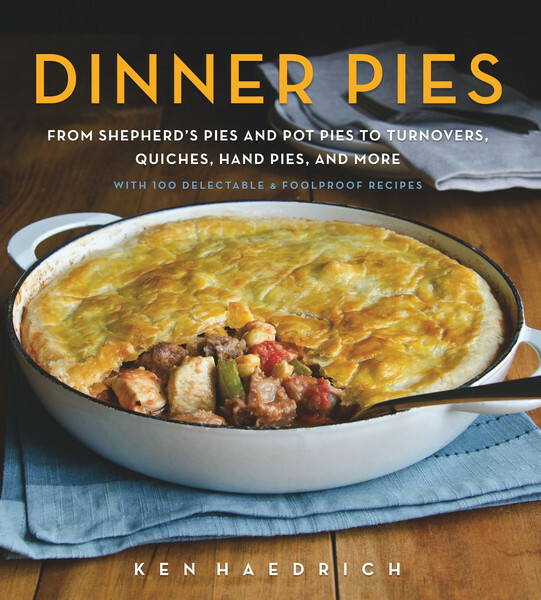 The surest sign that summer pie season is right around the corner is the increase in the number of questions I receive weekly, in my inbox, from home cooks hoping to crack the code to the perfect pie once and for all. I answer virtually every question I get, but for a more thorough explanation I usually suggest the questioner consider the No-More-Tears Pie Pastry Course, our flagship course on pie making. This video course has helped, literally, hundreds of home cooks get a serious leg up on their pie making education. Comprised of twenty short, easy-to-digest videos, the course breaks down the pie making process into easy-to-follow steps. Whether it’s the crust that trips you up…the best way to roll the dough…or how to tell when your pie is done, The No-More-Tears Pie Pastry Course covers it all. 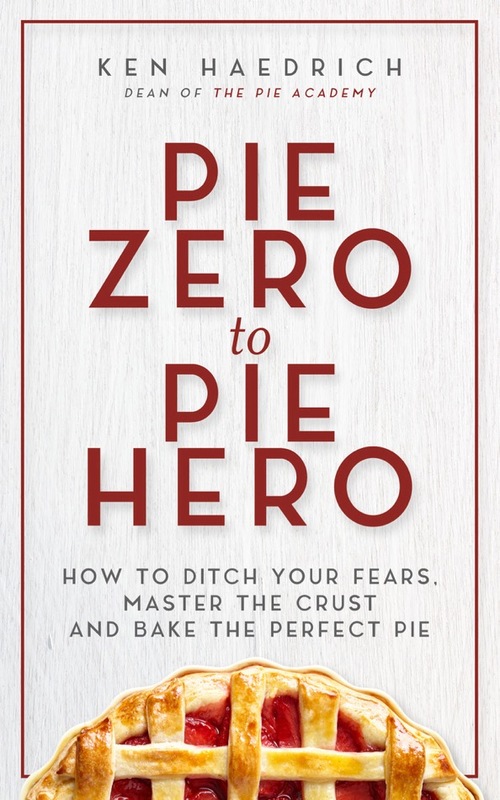 The other resource I should mention is my just published ebook, Pie Zero to Pie Hero: How to Ditch Your Fears, Master the Crust, and Bake the Perfect Pie. Whereas The No-More-Tears Pie Pastry Course is video driven, Pie Zero to Pie Hero is text based and focused primarily on the crust. It’s a great read, but without the video treatment found in No-More-Tears. This link will take you to the Amazon sales page. I think of them not so much as either/or choices, but as companions, learning tools every aspiring pie maker should own. Of course, the best way to learn is to just keep baking pies, so stick with it, enjoy the process, and stay in touch. A galette is a wonderful - and simple - way to show off seasonal produce, for either a main dish or a dessert. This version features sautéed Swiss chard and onions, but with some minor adjustments you could replace the chard with other greens - like spinach, collards, or kale - or substitute other cheeses for the ones we use here. 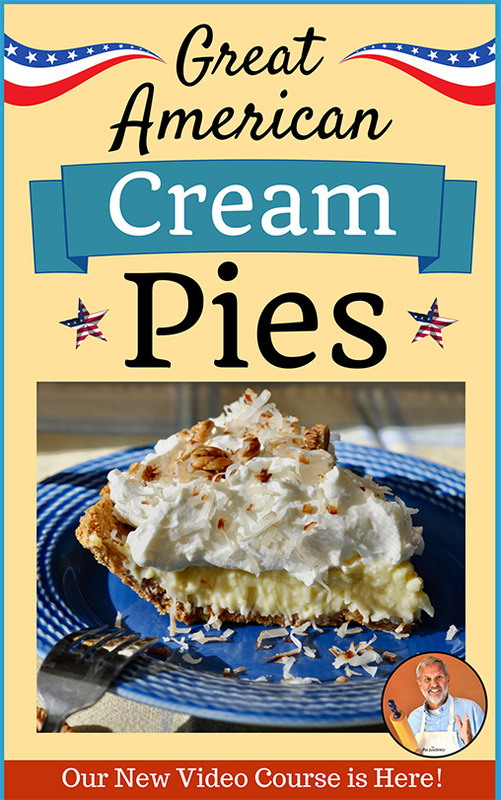 If you haven't already, prepare the pie pastry and refrigerate for at least one hour. Remove the stems from the Swiss chard and discard them. (See recipe notes.) Coarsely chop the leaves, place them in a bowl of cool water, and agitate them to remove any grit or dirt. Drain leaves in a colander. Heat the olive oil in a large saute pan or skillet. Stir in the onion; salt and pepper lightly. Cook the onion over moderate heat for 10 minutes, stirring often. Stir in the garlic and Swiss chard. Add a bit more salt and pepper and some shakes of Worcestershire sauce, to taste. Cook the chard over medium heat for 5 to 8 minutes, until it is thoroughly wilted and tender and all of the excess moisture has cooked off. Remove from the heat. Mix the ricotta and Parmesan cheeses in a small bowl. Dollop the cheese mixture here and there over the dough, leaving a 1 1/2-inch border all around. Flatten out the dollops with a fork or spoon. Cover the cheese mixture with the Swiss chard and onions, spreading it around evenly over the cheese. Sprinkle with half of the Gruyere. Fold the edge of the dough over the filling - use a spatula to help, if needed. The dough will sort of self-pleat as you go. Brush the pastry border with the egg glaze, and sprinkle with the poppy seeds. Bake the galette on the middle oven rack for about 35 minutes. 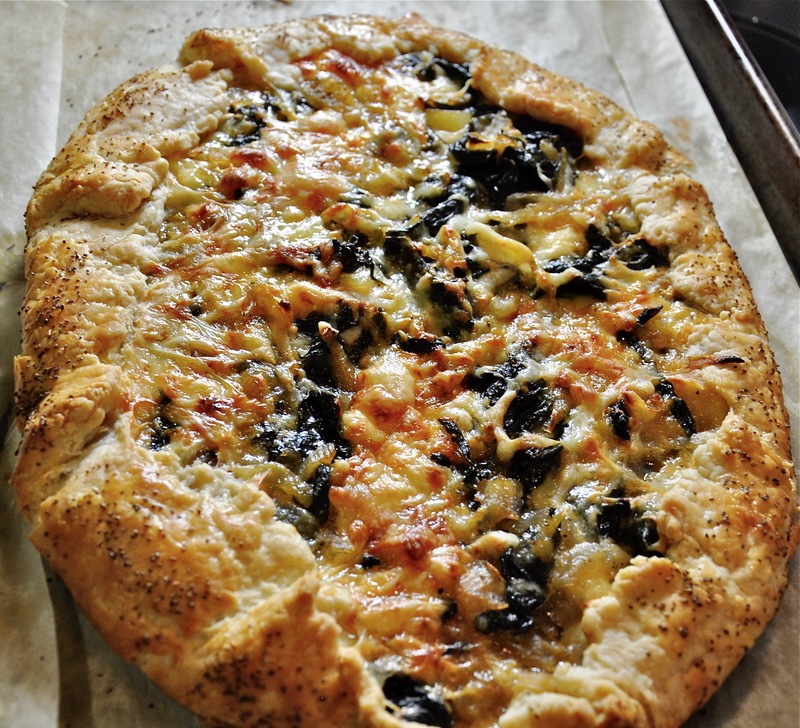 Slide it out of the oven, top with the remaining Gruyere, and continue to bake about 10 to 15 minutes, until the crust is a rich golden brown. Transfer the sheet to a cooling rack and cool for at least 10 minutes before serving. If you don't have a favorite pie pastry recipe and you're looking for recommendations, I suggest the Good Basic Pie Dough or the Food Processor Pie Dough. Instead of discarding the stems, I will sometimes chop them into small pieces and start sautéing them first (because they take longer to cook than the leaves) before adding the leaves. They also make a great addition to soups.